I have been practicing law for 18 years, after graduating from Santa Clara University School of Law in 1995. I moved to San Diego in 1999 and have been a partner at Wilson Turner Kosmo since 2006, where my practice focuses on the defense of employment litigation, training and counseling. I have represented local and national employers in a variety of cases, including wrongful termination, wage and hour class actions, discrimination, harassment, trade secret and employment contract disputes. I have tried cases in state and federal court and before arbitrators, including trials in San Francisco, Orange County and San Diego, on issues ranging from sexual harassment, disability and race discrimination to defamation. My goal is to keep clients out of court. A significant part of my practice involves day-to-day counseling, working with employers to achieve resolution of workplace disputes, in order to avoid litigation. 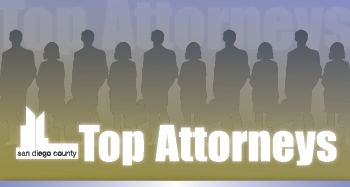 I regularly counsel employers on issues such as layoffs, hiring, investigations, disciplinary actions and terminations. I have also handled numerous government agency hearings and trials, and have argued employment issues before the California Court of Appeal. As a first-year attorney, a mentor at my first job taught me two things that have nothing to do with law, but that I try to practice on a daily basis: (1) It isn't what you do, but how you do it; and (2) be nice to others because if you treat others with dignity and respect, they'll return the favor. That is something I stress with my clients. If you trust and empower your employees, they'll work their butts off for you and will be loyal. And if you're a jerk, guess what's coming your way. I’ve also found that generally, people like to hang out with nice people. So, I try to be someone that other people would want to hang out with, and I preach that to my clients as well, in dealing with employees. I have served on several boards, including San Diego’s Orchestra Nova and the State Bar’s Labor & Employment Executive Committee. I have also been active in local bar activities serving as co-chair of the San Diego County Bar’s Labor & Employment Section for two years (2005-06), and was a member of the State Bar’s Conference of Delegates (2006-07). I am a frequent speaker on employment issues for groups such as the San Diego Employers Association, the Society for Human Resources Management, Employer Resource Institute and have been on the faculty of UCSD’s Leadership and Management Program since 2001, teaching managers practical human resources skills and employment law nuts and bolts. I have a passion for employment law and enjoy writing about recent developments. I’ve been a regular contributor and guest columnist for the Los Angeles Daily Journal on employment topics, have contributed articles to the San Diego Daily Transcript and also conduct regular Employment Roundtables for the San Diego Employer’s Association. Outside of law, I enjoy spending time with my family, listening to music, hiking, cooking exotic food and baseball. My parents, older brother and I immigrated to America from the former Soviet Union in 1973 so that my brother and I could live in freedom. Arriving in a foreign land, with a different culture, and not knowing one word of English, my family struggled as my parents left behind professional careers and all of their friends and family. But, because this is the land of opportunity, my parents succeeded in realizing the American dream by providing me and my brother with excellent educational opportunities and instilling in me a work ethic that I could achieve anything through hard work and perseverance. While I really enjoy what I do and get a lot of satisfaction from helping people avoid conflicts in the workplace, I am reminded of Tony Gwynn’s famous quote, “If you work hard, good things will happen.” I am now living the American dream, married to my soulmate, Christie (selected by the The Daily Transcript as a Top Corporate Counsel finalist in 2012), and have two beautiful, inquisitive and vibrant children, Sam and Sophia. Forty years after arriving in America, not knowing one word of English, I am blessed to watch my parents enjoy the fruits of their labor. Who could ask for more?